Alex Lowes took his first WSB win in Race 2. Race 1 at Brno on Saturday saw Jonathan Rea (Kawasaki) break the all-time record for WSB wins with his 60th victory, eclipsing the previous record held by Carl Fogarty. In a race that featured two re-starts, Rea dominated and built a substantial lead before taking the flag ahead of second place Marco Melandri (Ducati) and third place Tom Sykes (Kawasaki). The second race at Brno on Sunday was a forgettable one for Rea, who ended up in the gravel (unhurt) after a collision with teammate Sykes. 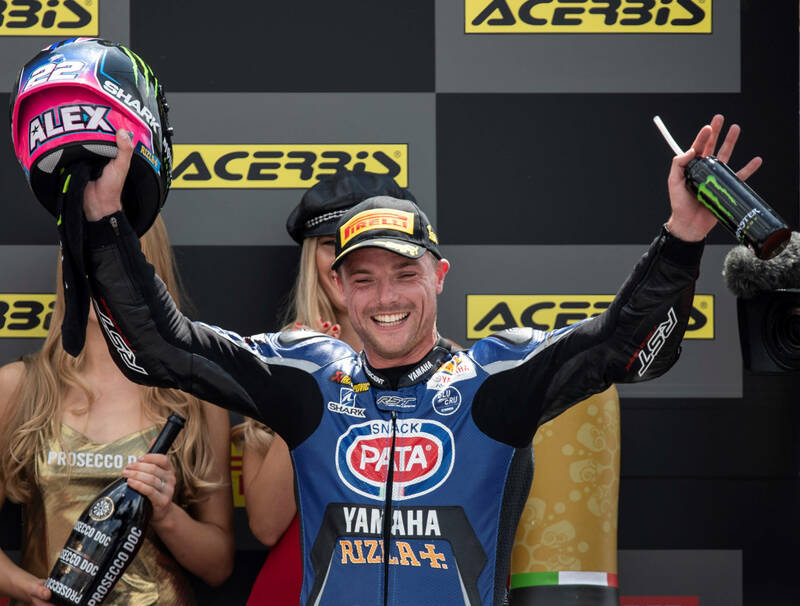 Race 2 saw Alex Lowes (Yamaha) take his first ever WSB win ahead of teammate Michael van der Mark in second and Chaz Davies (Ducati) in third. This was Yamaha’s first one – two WSB finish since 2011. Rea continues to hold a substantial points lead in the championship. You will find full results to Race 1 here, and Race 2 here. For additional details and points, visit the official WSB site. Yeah, it’s taking a while but the changes are kicking in. I mean at least Rea is having to do a little work to make it happen. He adjusts so well and takes lines that are so unique in some corners to make up for weaknesses or simply to make up on his competitors weakness. Either way, good to see some Yamaha and Duc and Kawi getting up there. Need a few more for sure!! !